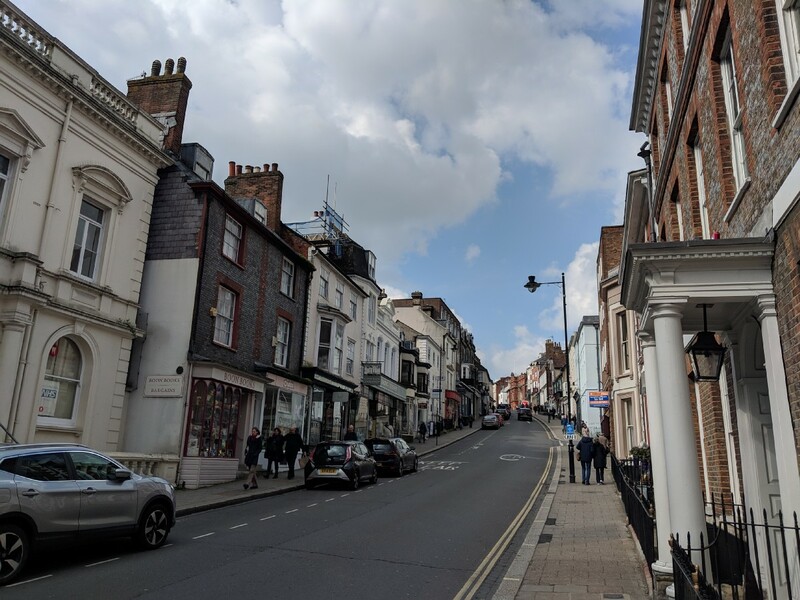 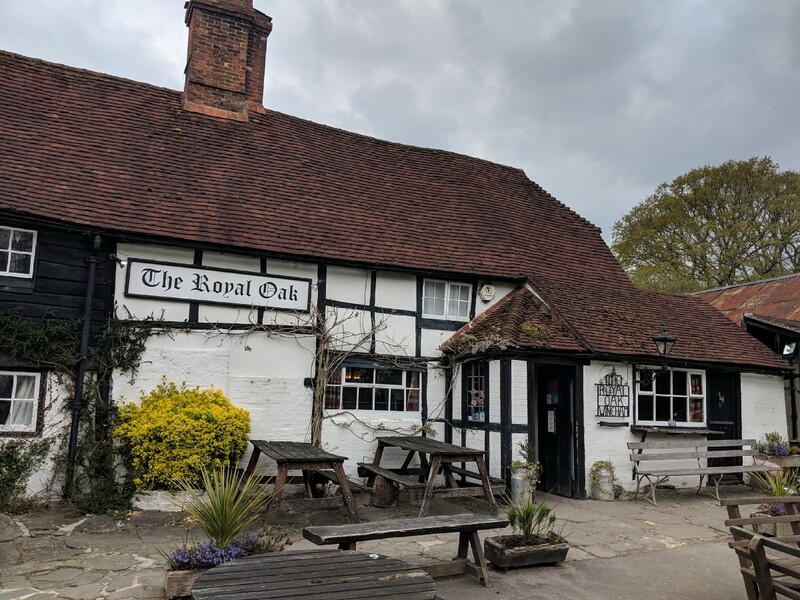 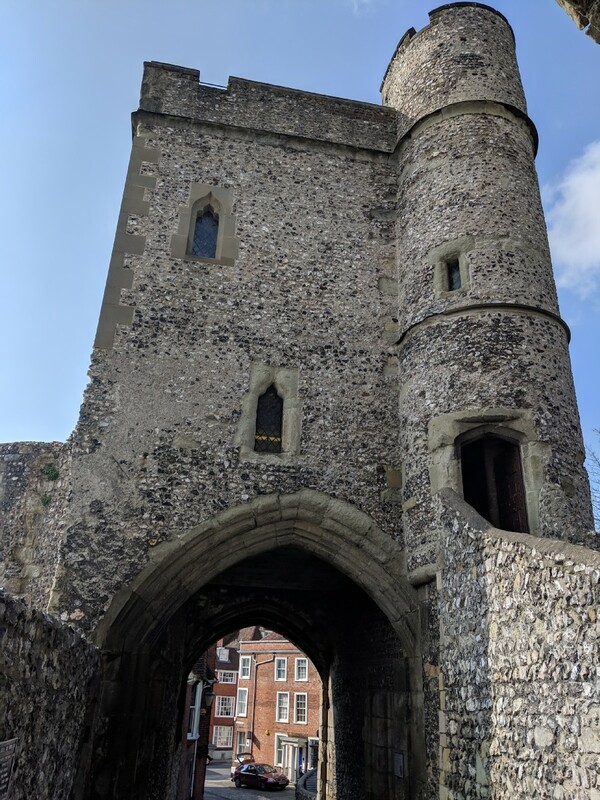 Spent the morning happily pottering around in Lewes, then got the train to Haywards Heath, and a taxi from there to the wonderful Royal Oak at Wineham, where as an added bonus they were having a classic car meetup. 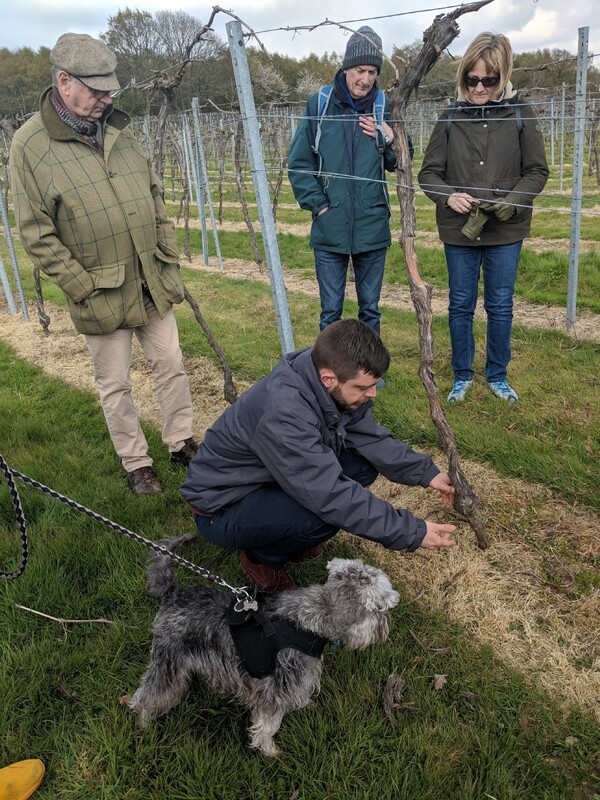 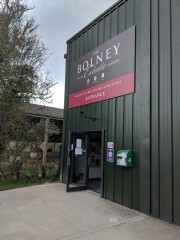 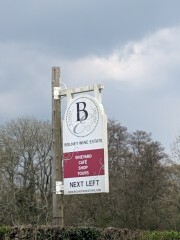 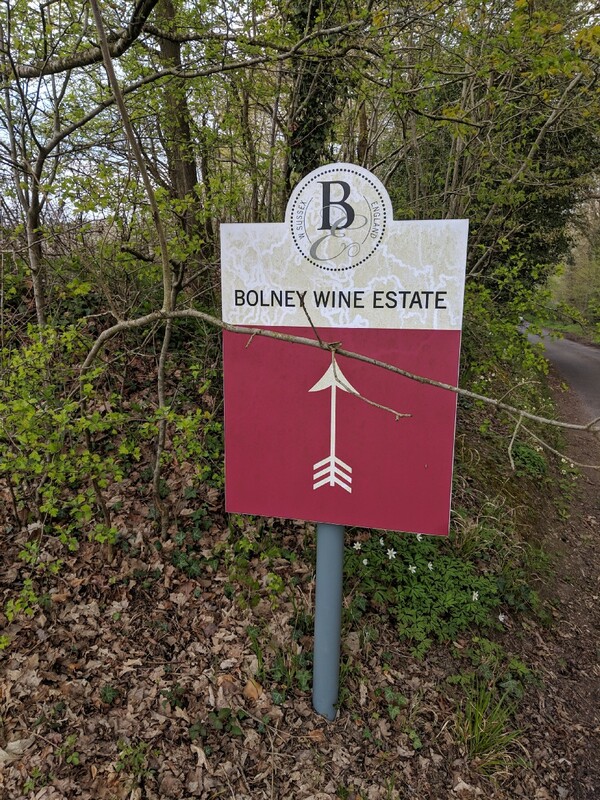 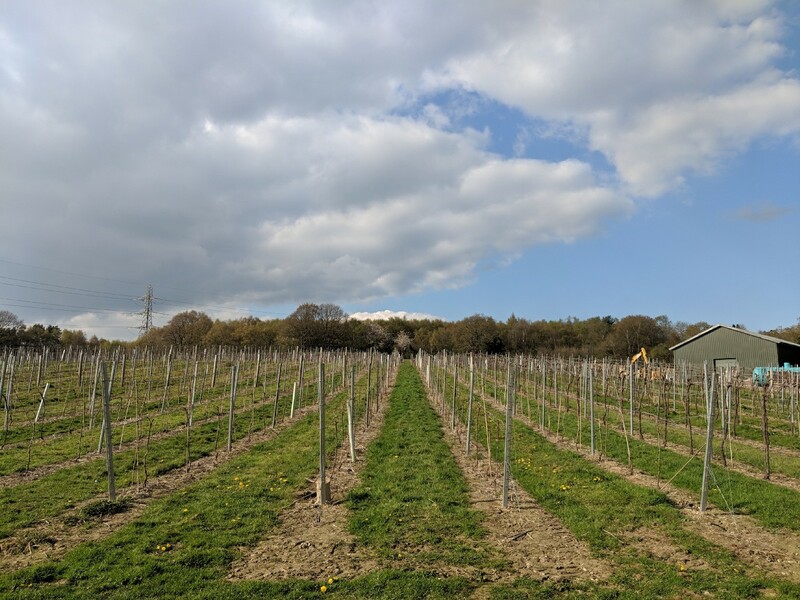 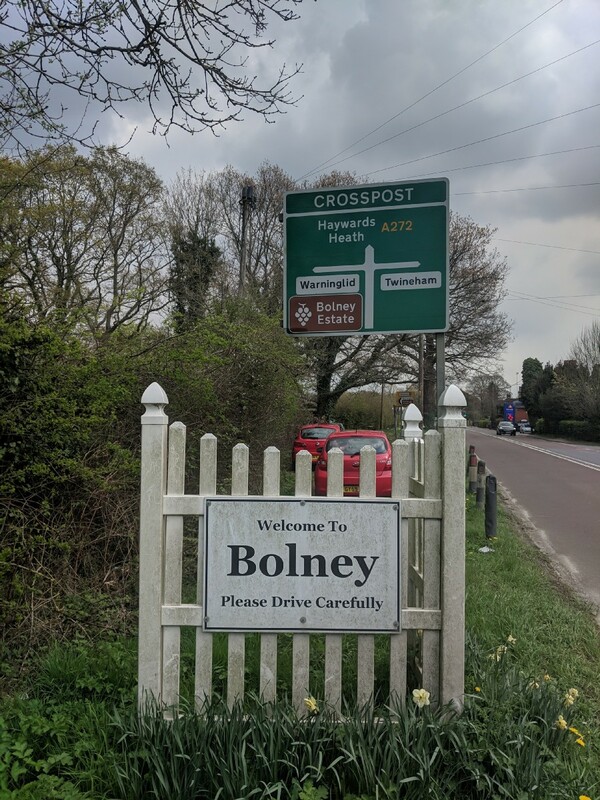 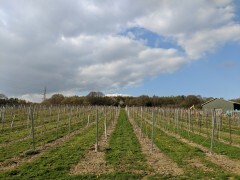 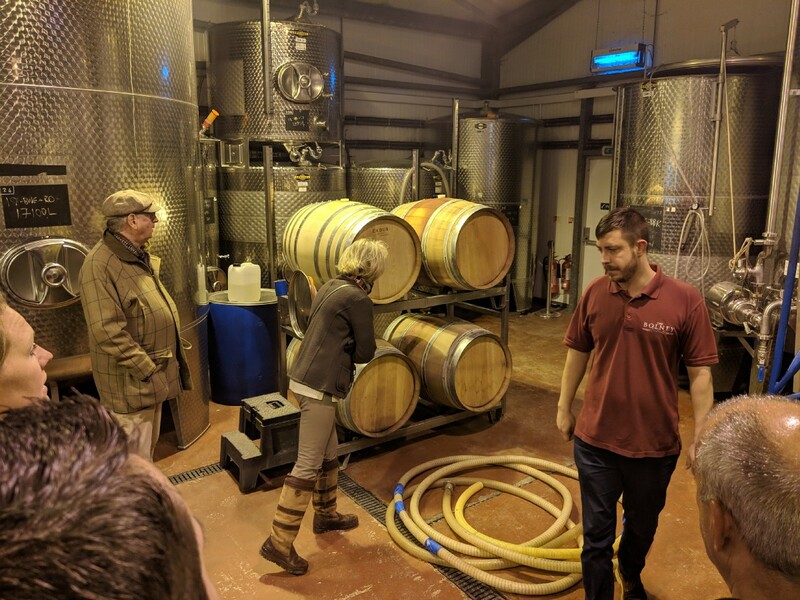 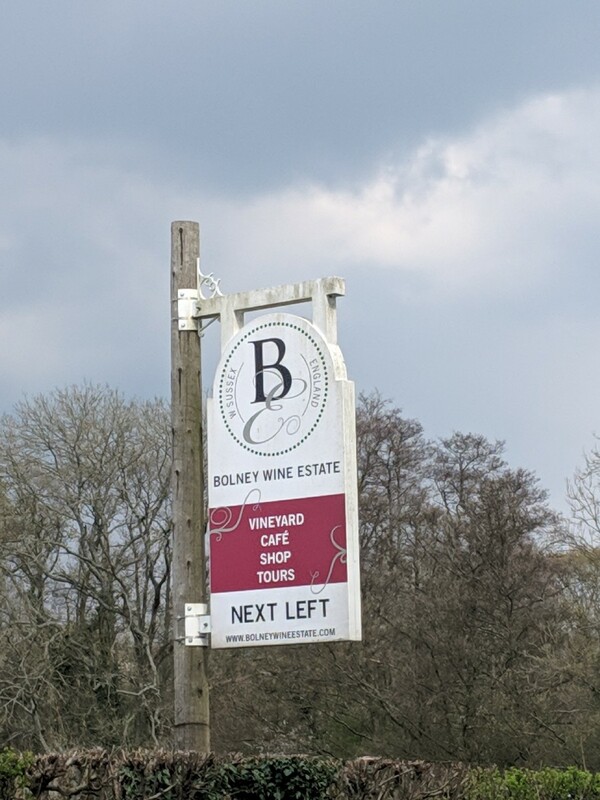 After a superbly rustic lunch I walked from there to the Bolney Wine Estate where I joined their afternoon tour and tasting. 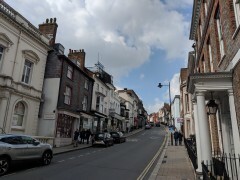 Then another taxi back to Haywards Heath, and home. Breakfast in my hotel. 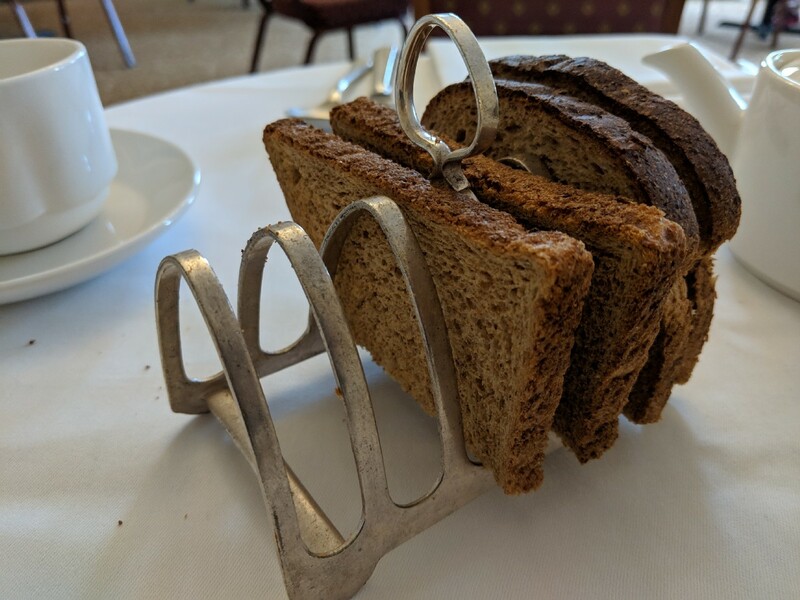 I thought this a particularly nicely shaped toast rack. My vegetarian breakfast. 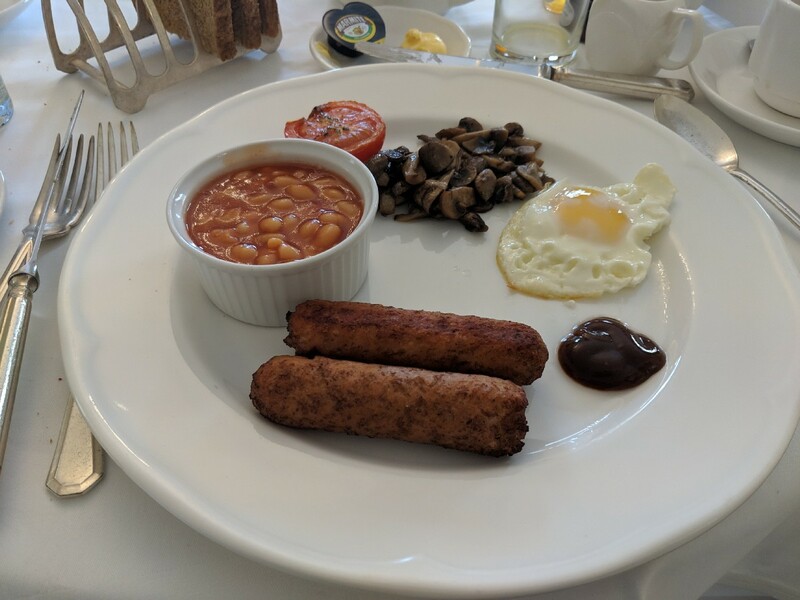 Possibly would have benefitted from a smaller plate, looked a bit silly all spread out like this, and baked beans in a ramekin struck me as a bit of an affectation (although I'm pleasingly reminded of Alan Partridge's English breakfast critique). 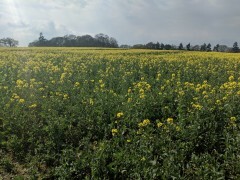 Overall though not bad. 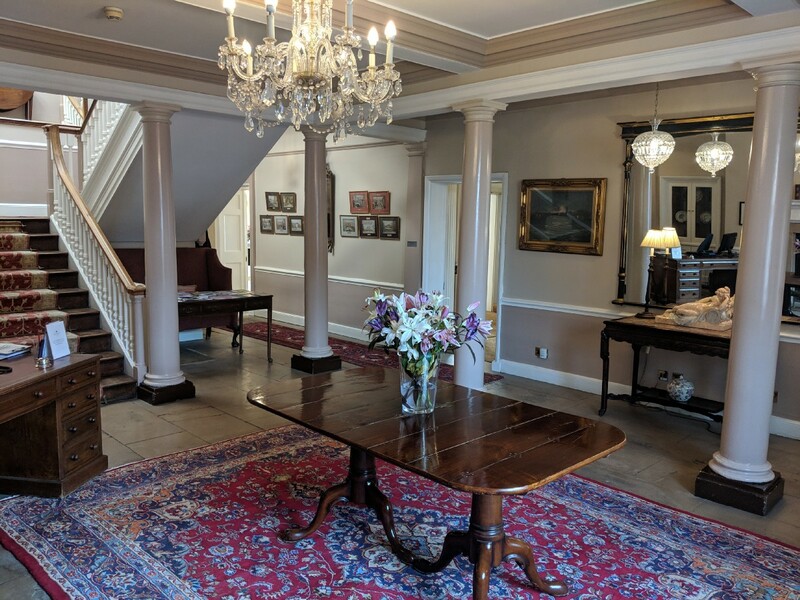 The foyer at the Shelleys, which I though was very tastefully done and extremely civilised. 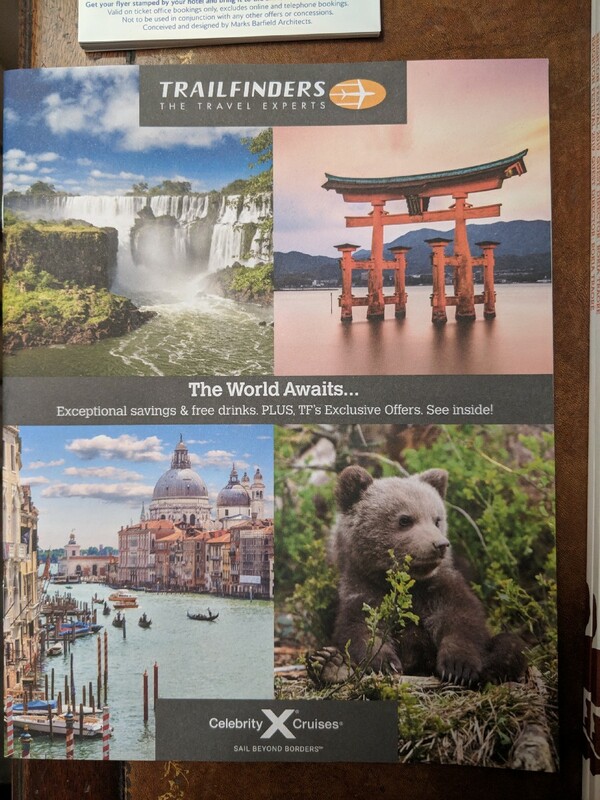 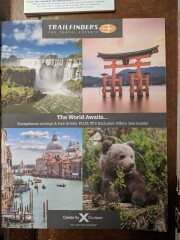 While waiting to check out I noticed among their brochures they had this one for a travel company, with a picture of Miyajima on the cover. 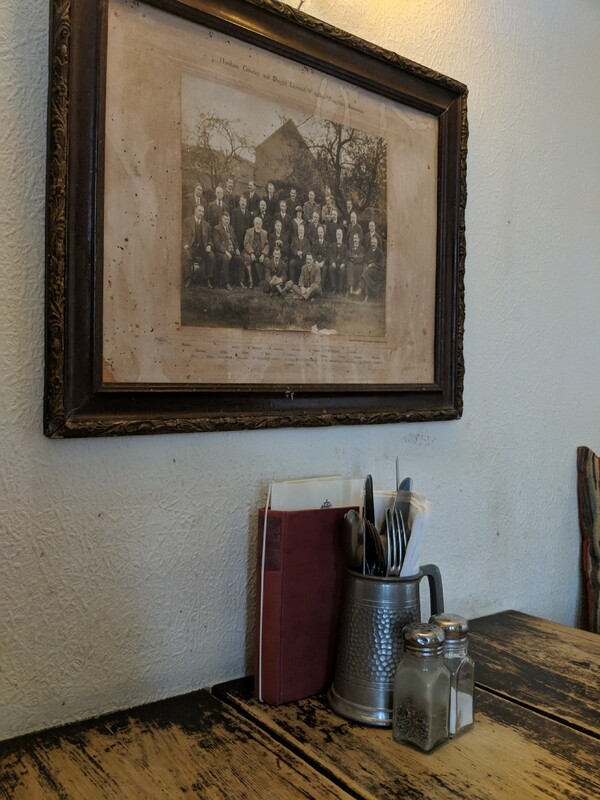 What a small world. 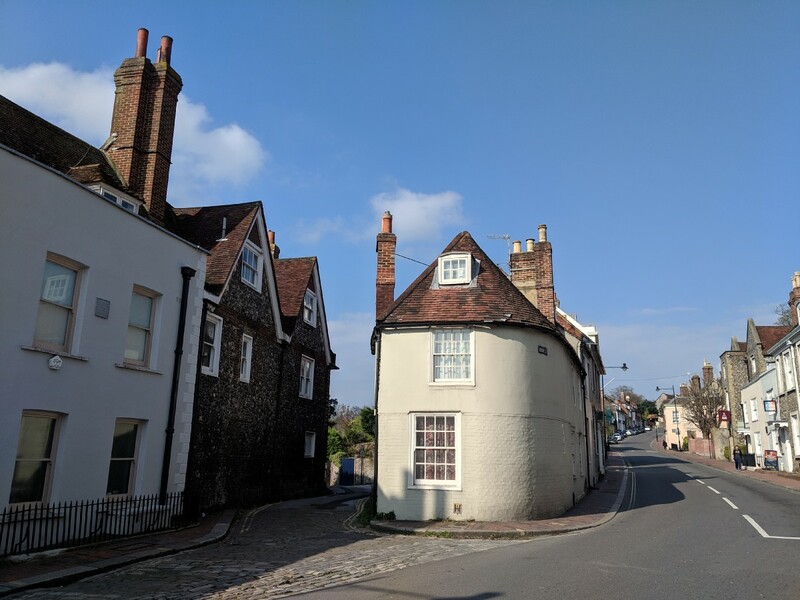 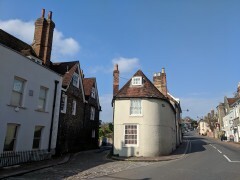 I'm rather fond of this corner building in Lewes. Lewes castle again, I paused here to do a video call to Chie and Erika in Japan, I thought it made a nice backdrop. 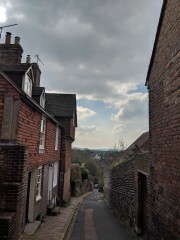 St. Martin's Lane in Lewes, where the very nice chocolate shop is. 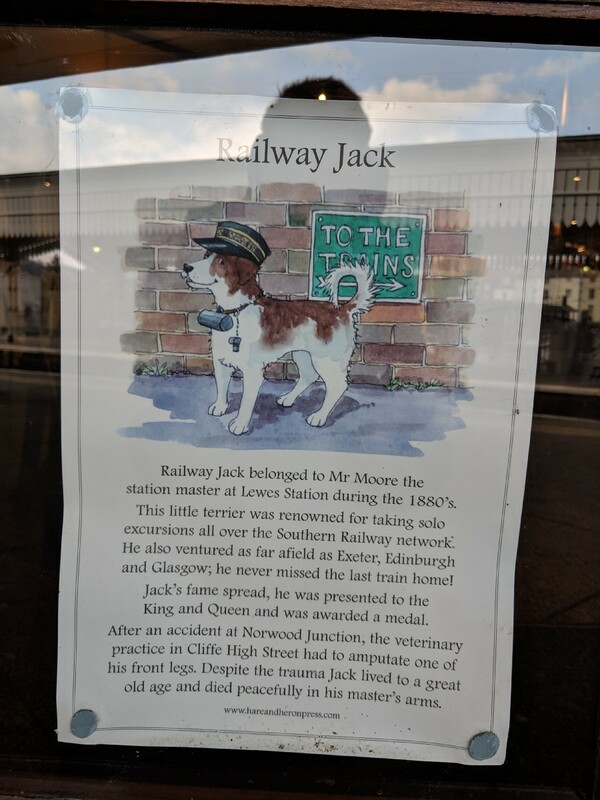 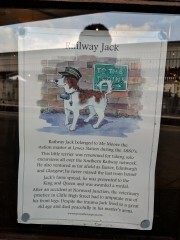 Nice story about a dog at Lewes station. 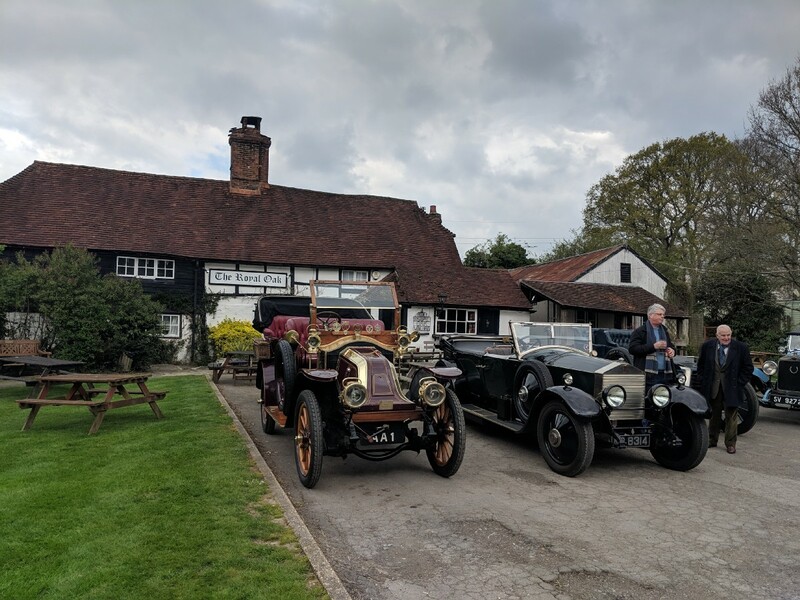 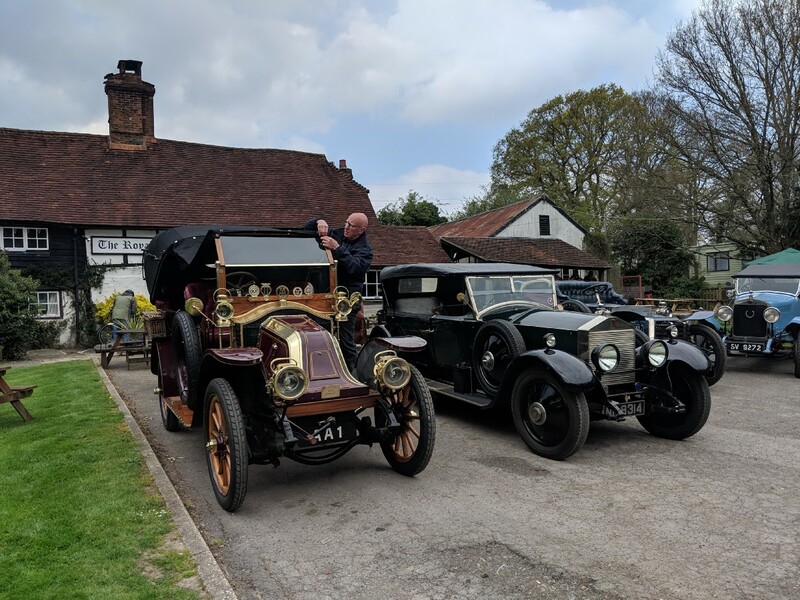 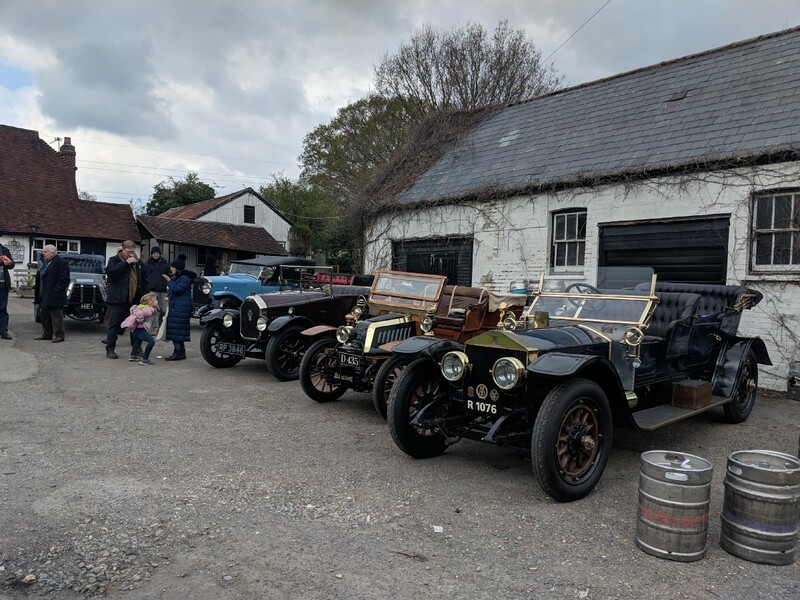 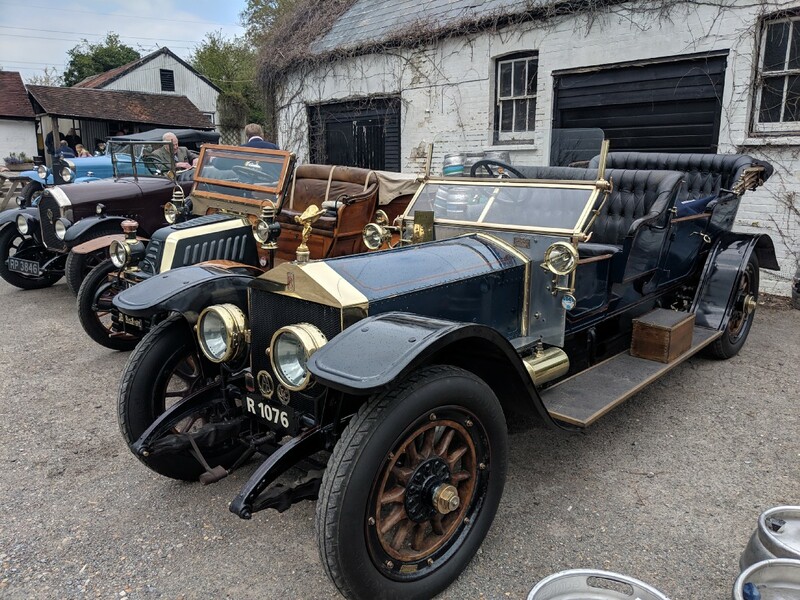 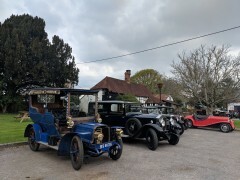 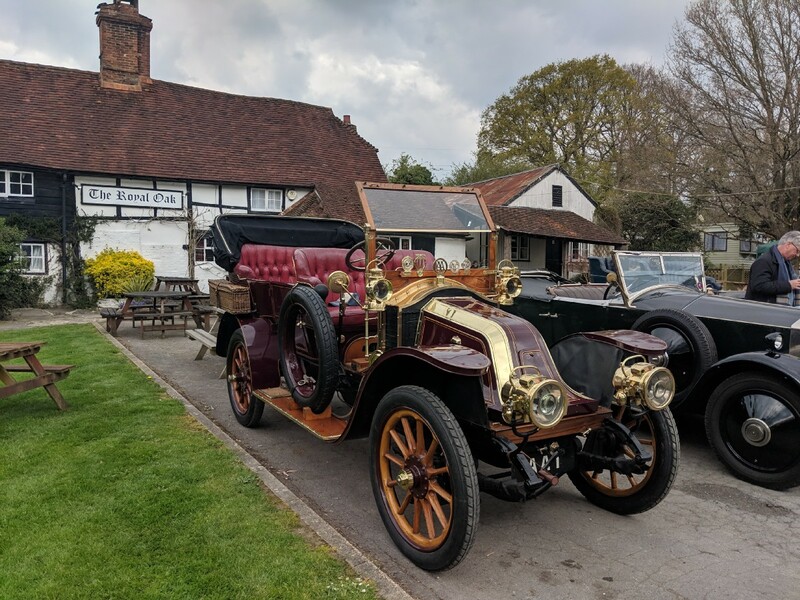 On arrival at the Royal Oak in Wineham I was delighted to see this array of fine classic cars. 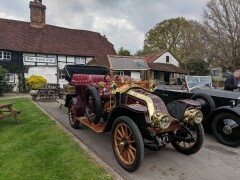 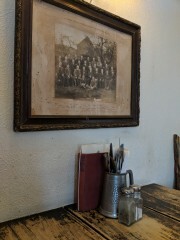 ...as though the pub, already an absolute gem, needed anything else to sell it! 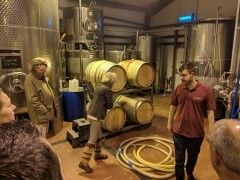 Beer directly from the barrels. 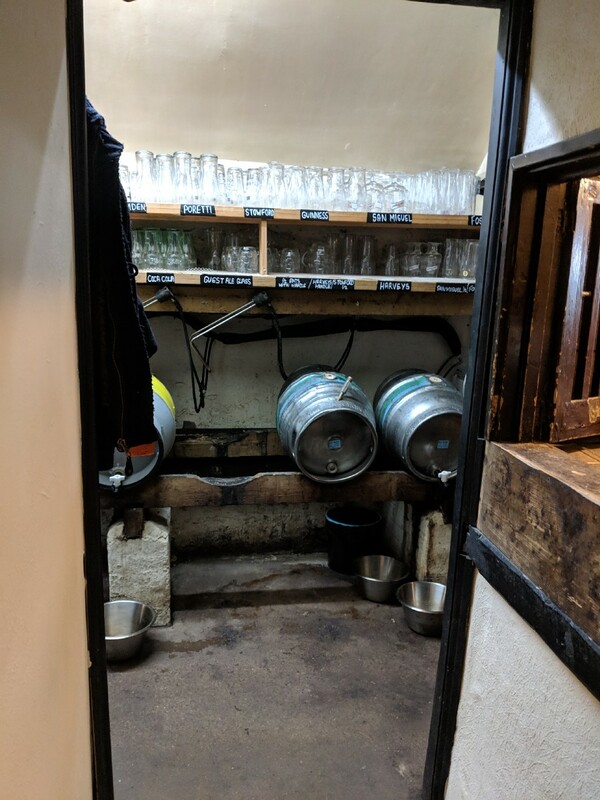 No pumps on the bar! 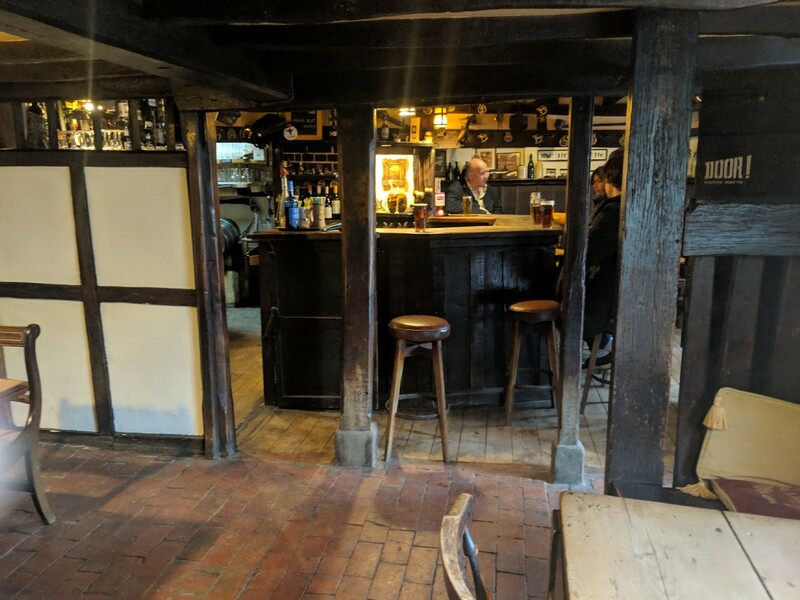 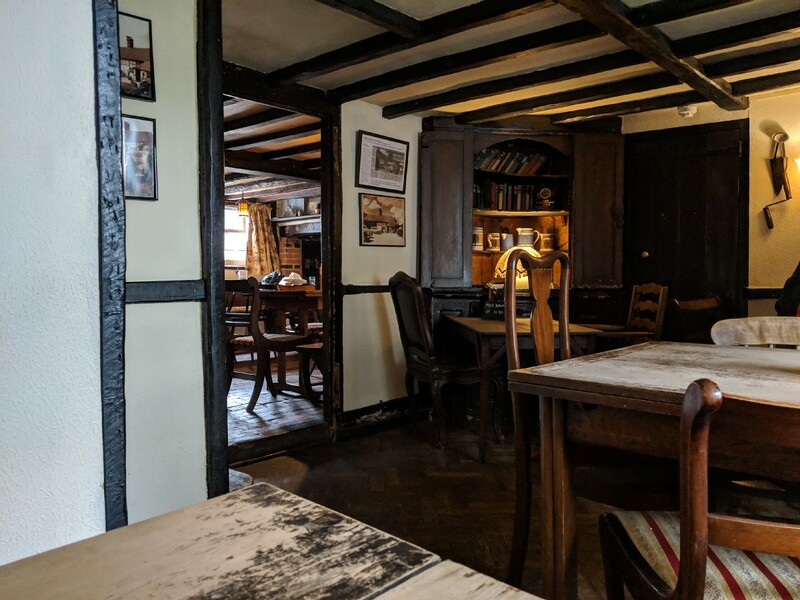 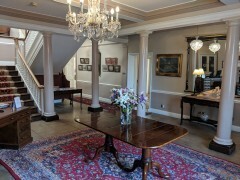 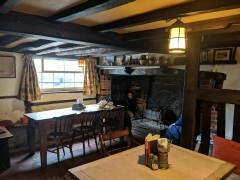 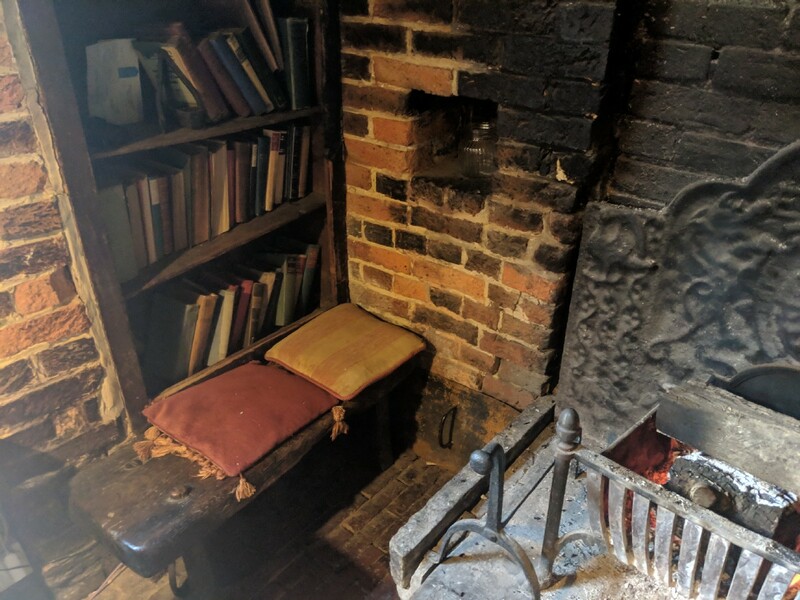 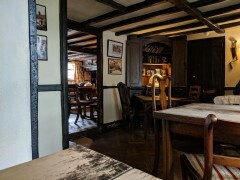 The main bar room, with that impressive inglenook fireplace. I sat in the little room at the back which was also quite charming. 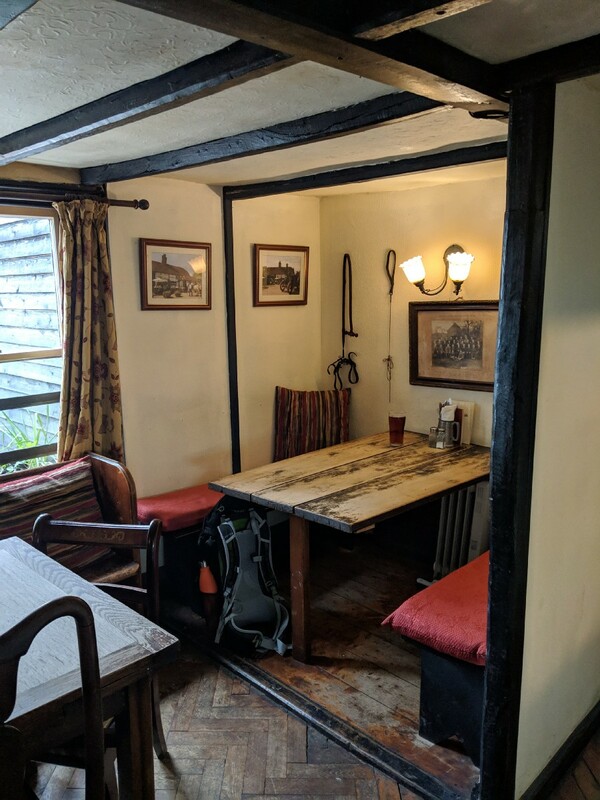 The room at the back from the other angle. 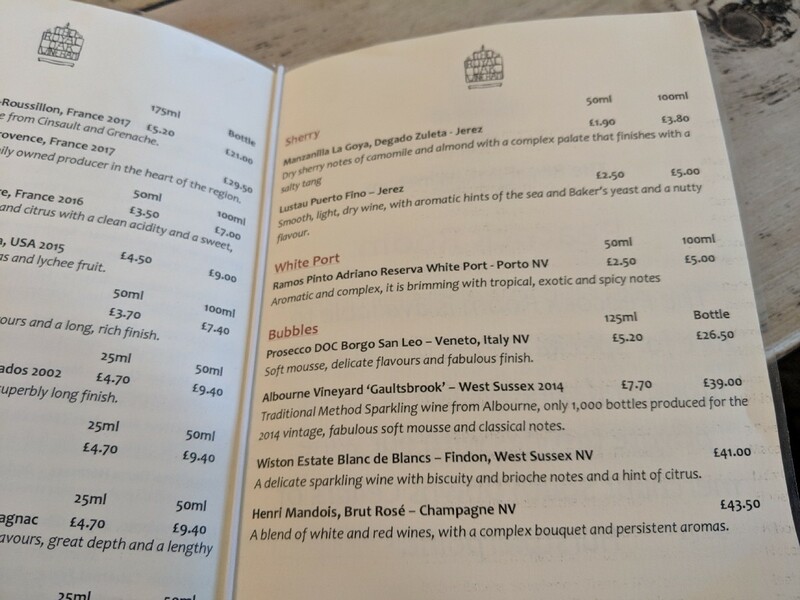 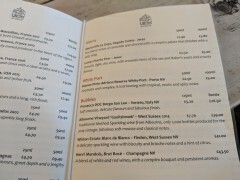 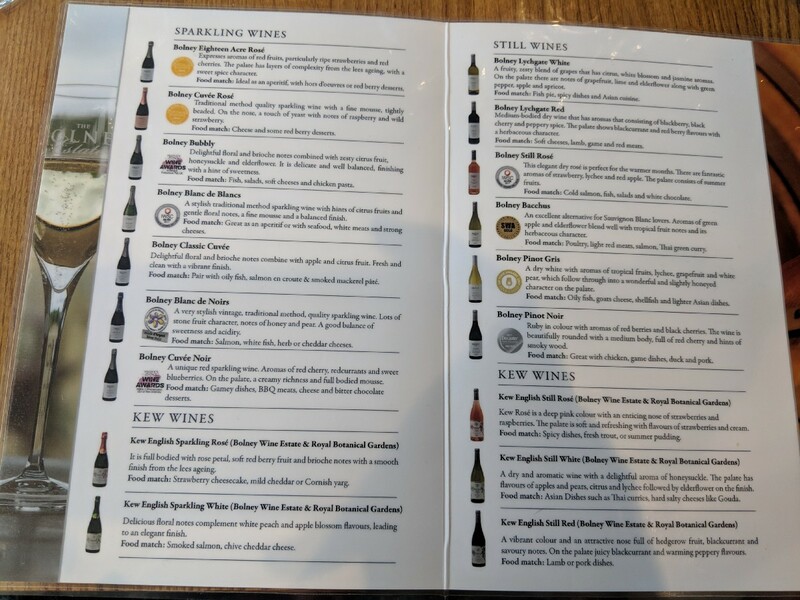 I noted they had some local wines on their wine list - but this very much felt like the sort of place where ale should be consumed. 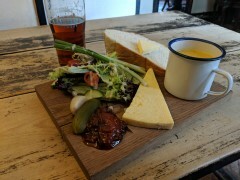 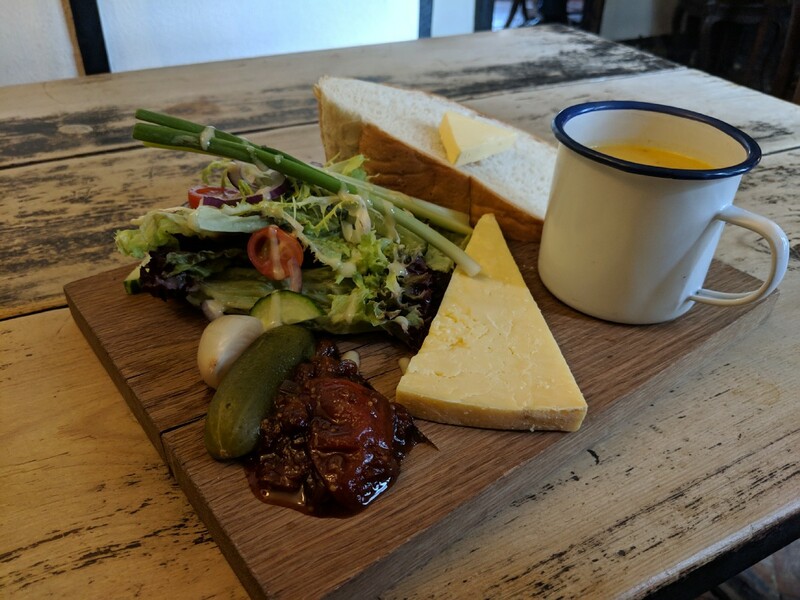 My lunch - a hearty Ploughman's with a cup of soup on the side. 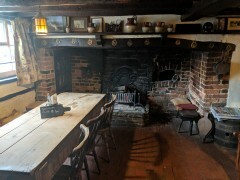 Another photo of the Inglenook. 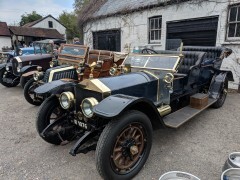 ...and the seats at the side. 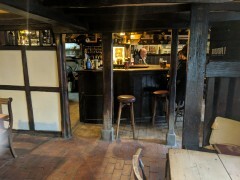 Looking through to the bar. Note the lack of pumps! Some more pictures of the classic cars as I was leaving. 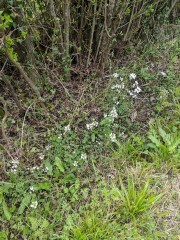 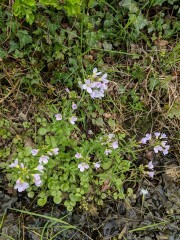 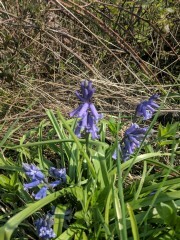 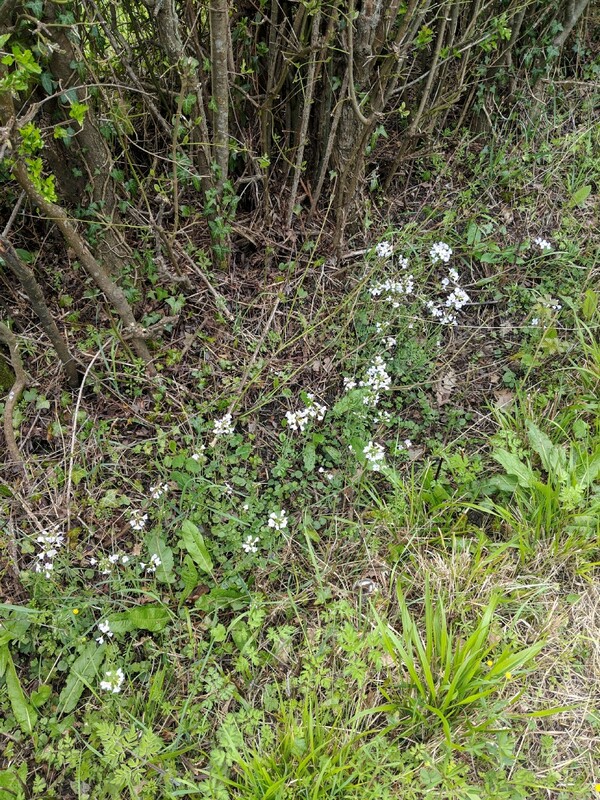 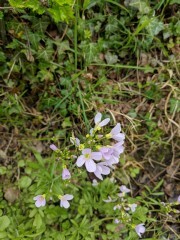 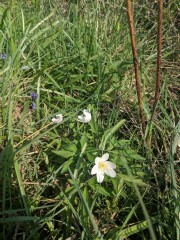 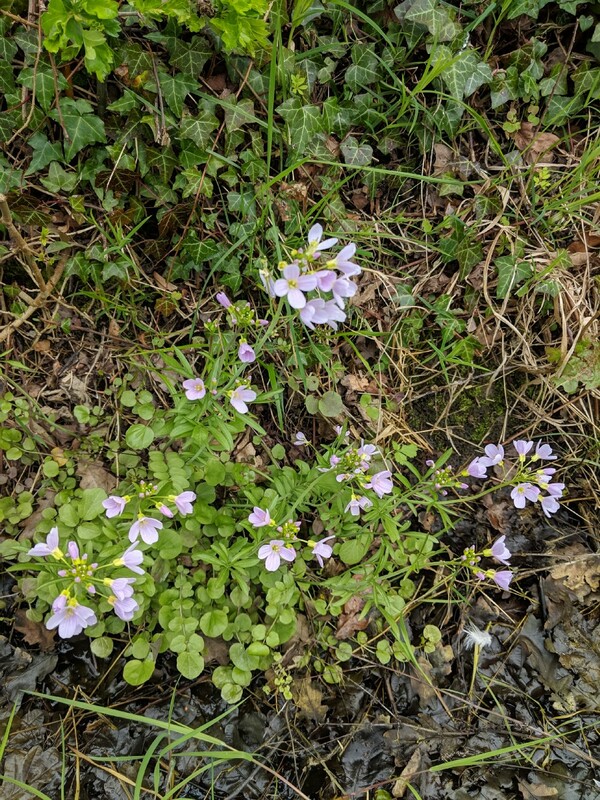 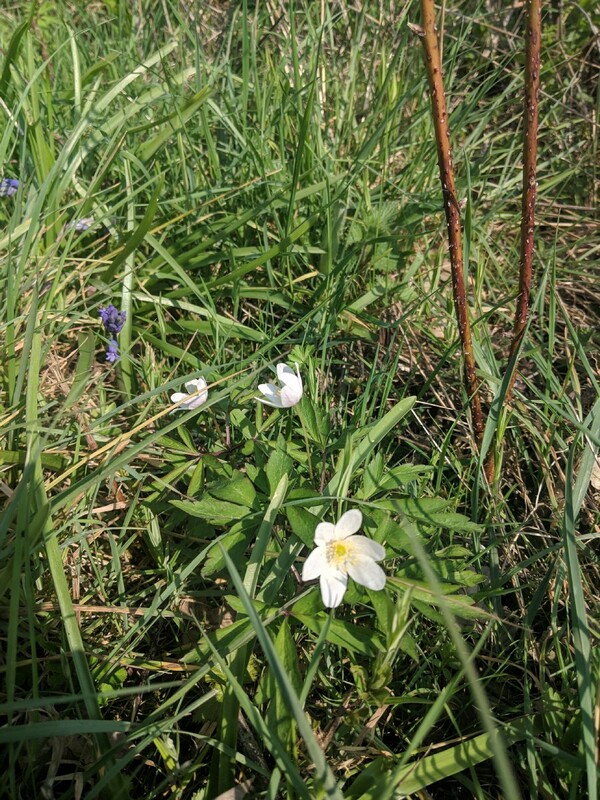 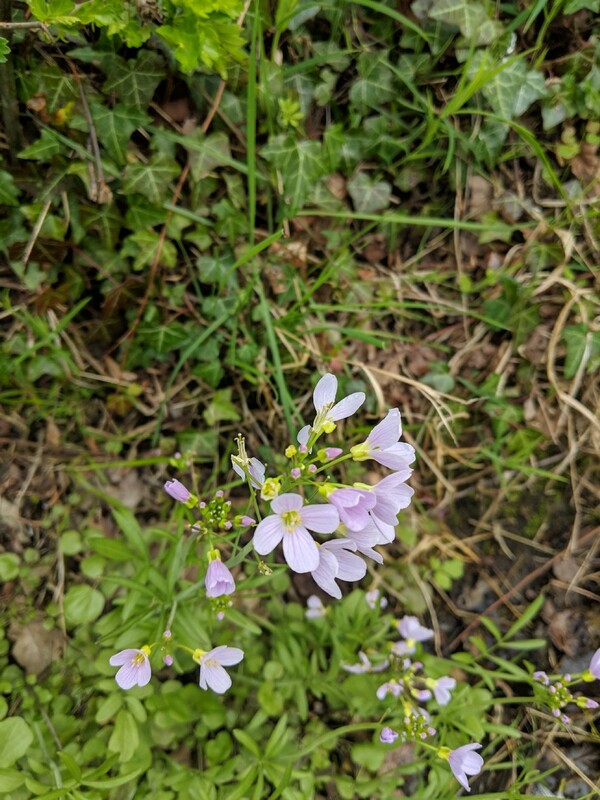 On my walk from Wineham to Bolney, some pour attempts to take pictures of flowers by the wayside. 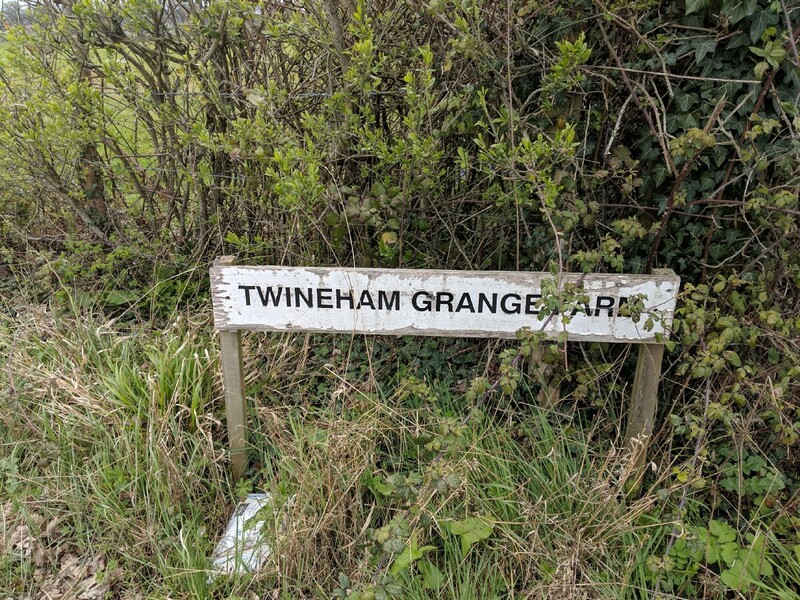 Walked past here and wondered if it was connected to the vegetarian Parmesan style cheese I had long been a fan of, but could see no evidence of it here. 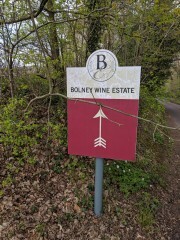 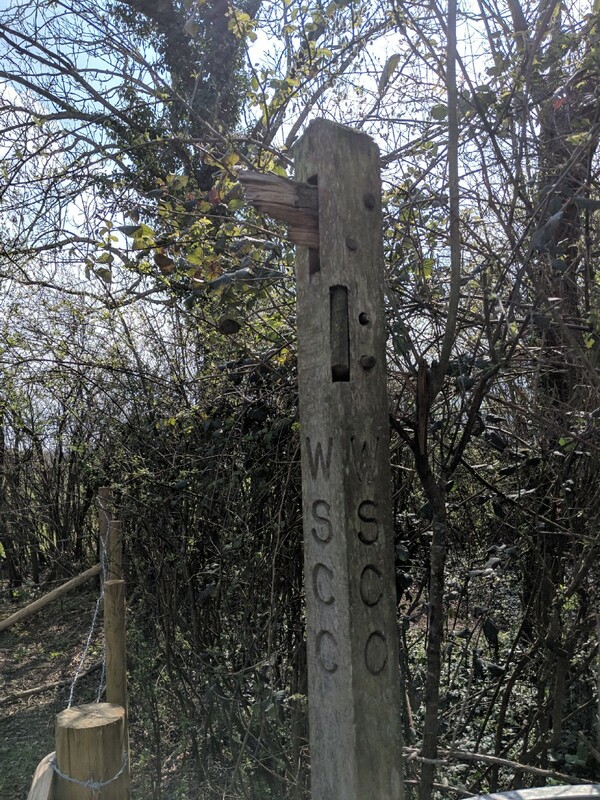 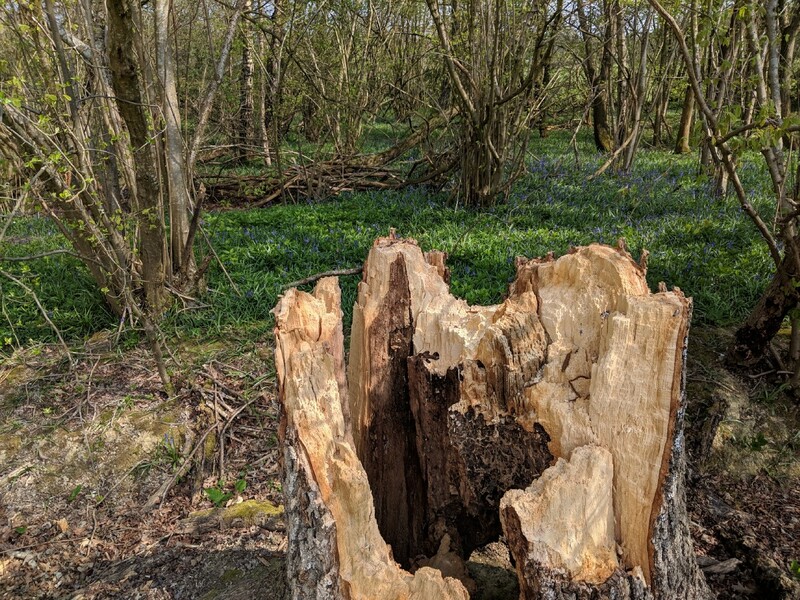 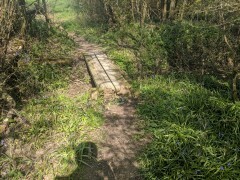 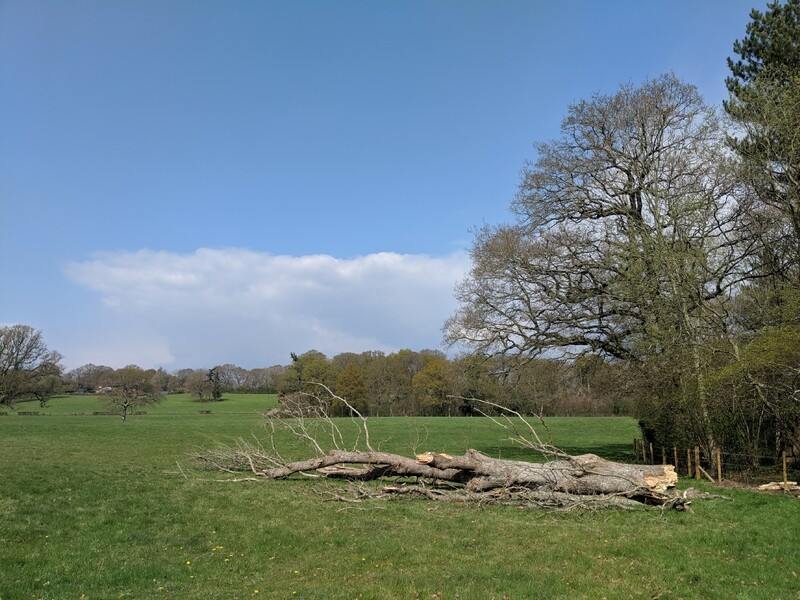 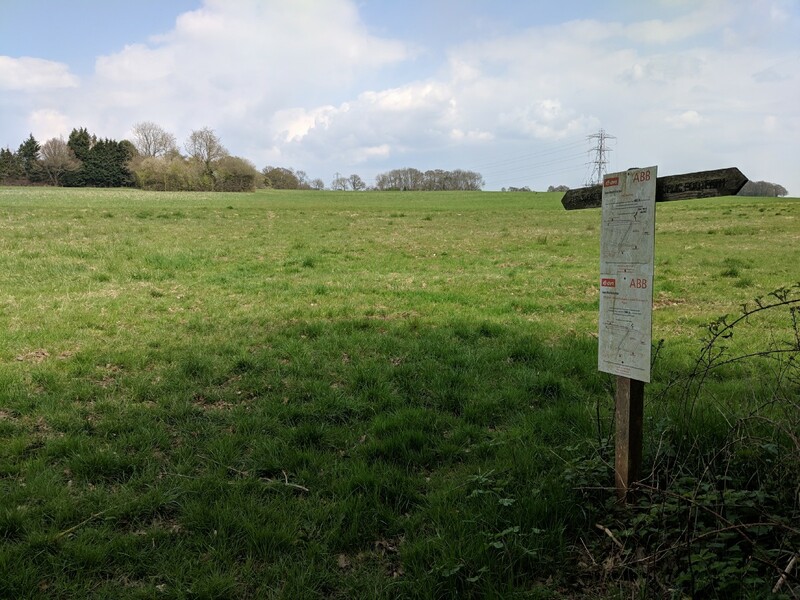 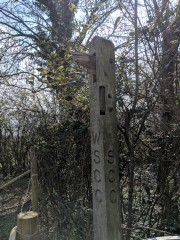 The walk from Wineham to Bolney wasn't exactly the most scenic, part of the footpath being diverted for some electrical works relating to an offshire windfarm... but still it was good to get a bit of exercise between lunch and the wine tasting! 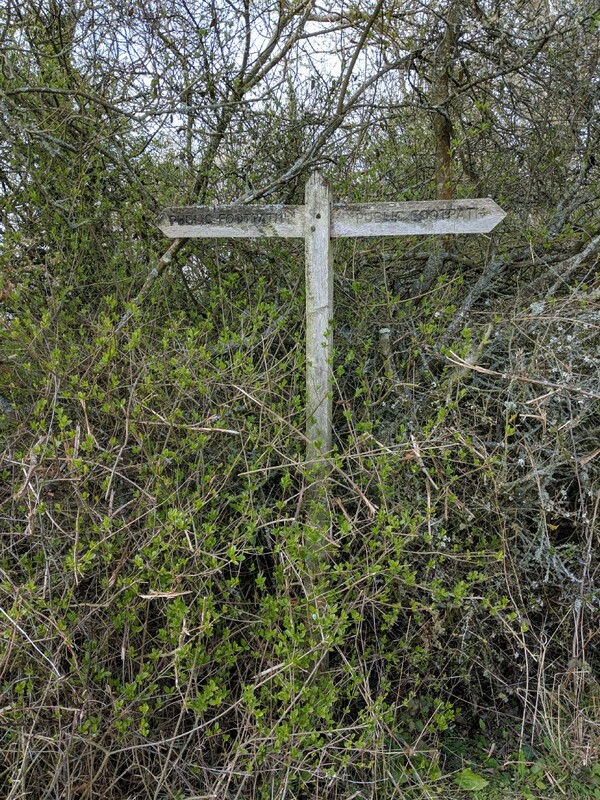 My walk could have gone a bit awry at this point, but luckily the OS Maps app on my phone was doing a good job of keeping me on track. 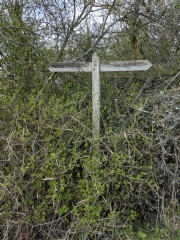 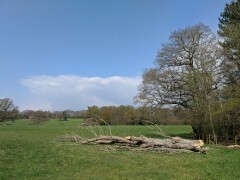 A slightly more pleasant moment along the otherwise not particularly photogenic walk. 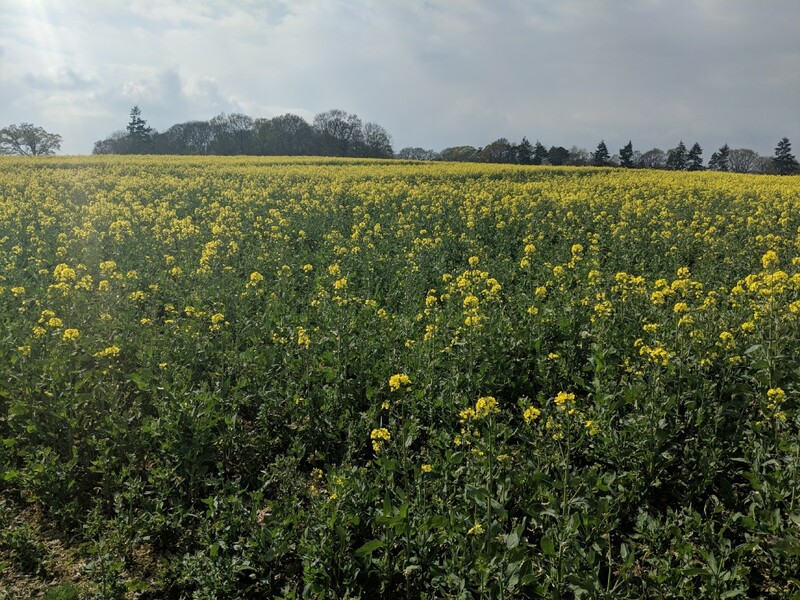 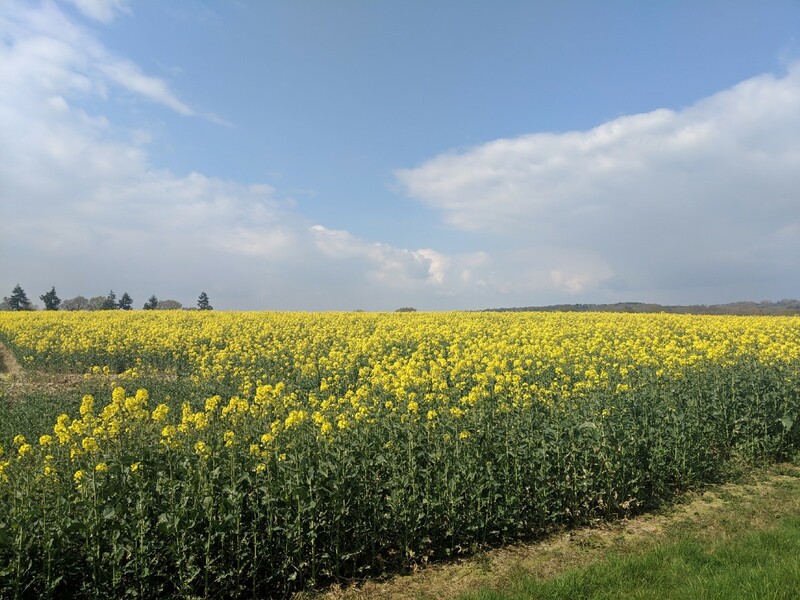 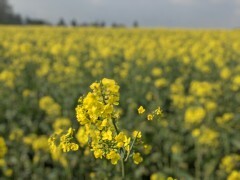 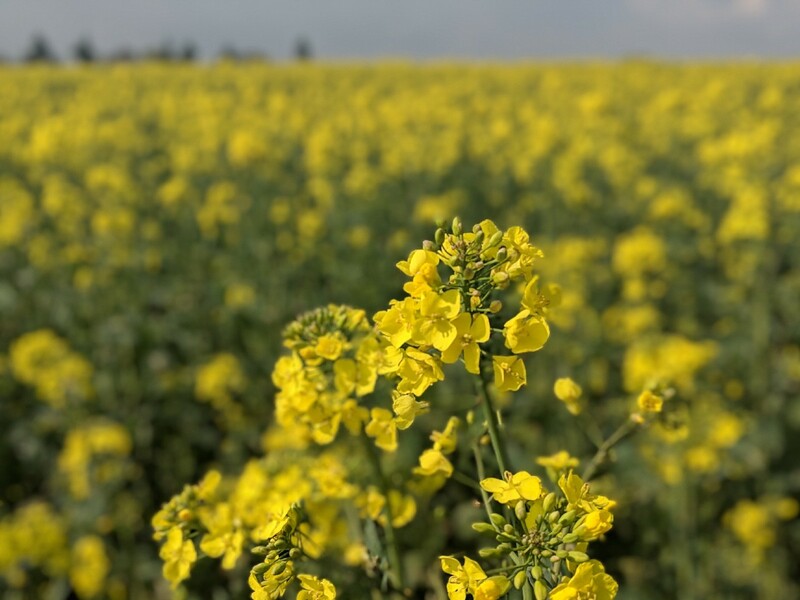 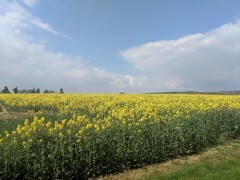 A field of rapeseed, which looked nice under the temporarily blue sky. 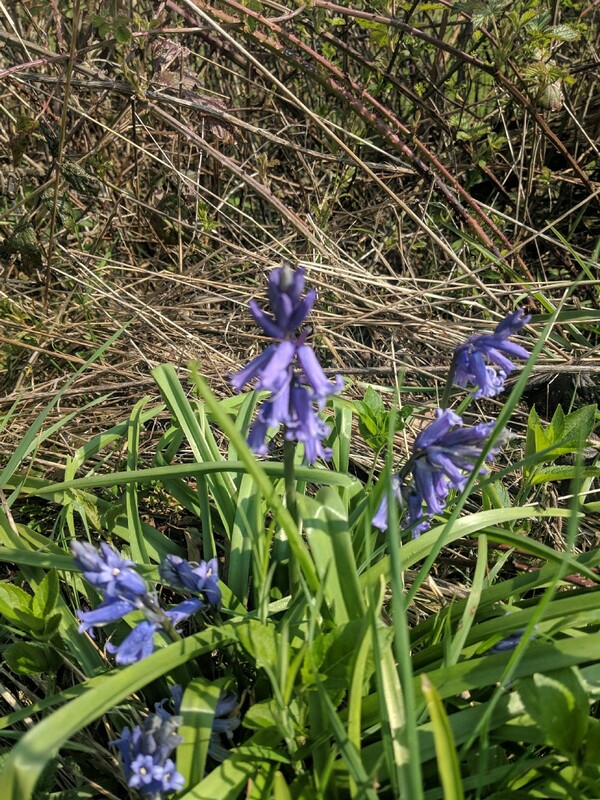 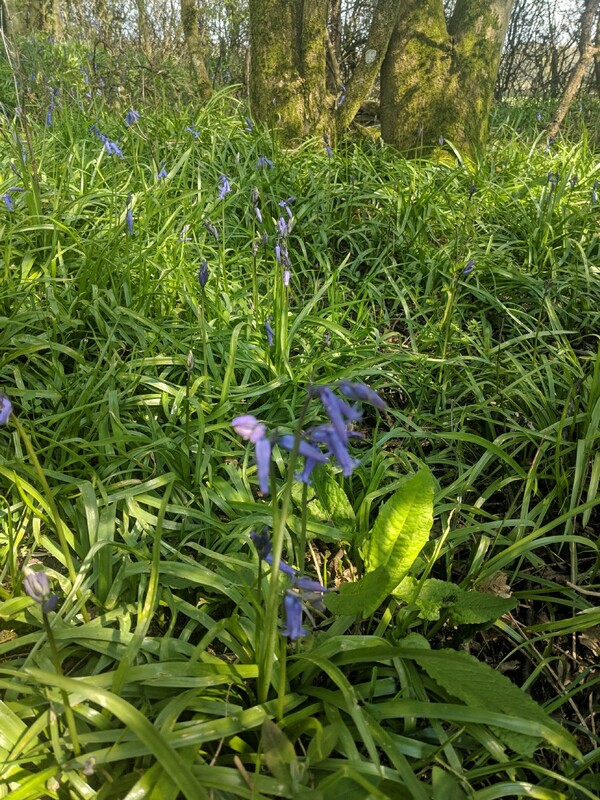 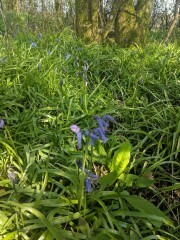 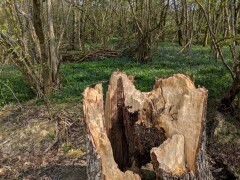 More attempts to get pictures of bluebells which didn't really focus. Tried a shot with portrait mode. 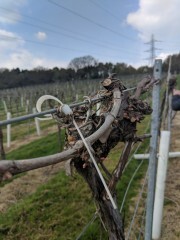 Not sure it really worked. 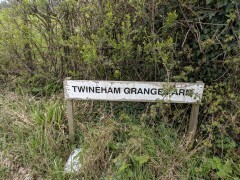 This stretc of road was pretty busy, no footpath to speak of, and wasn't much fun to walk along. 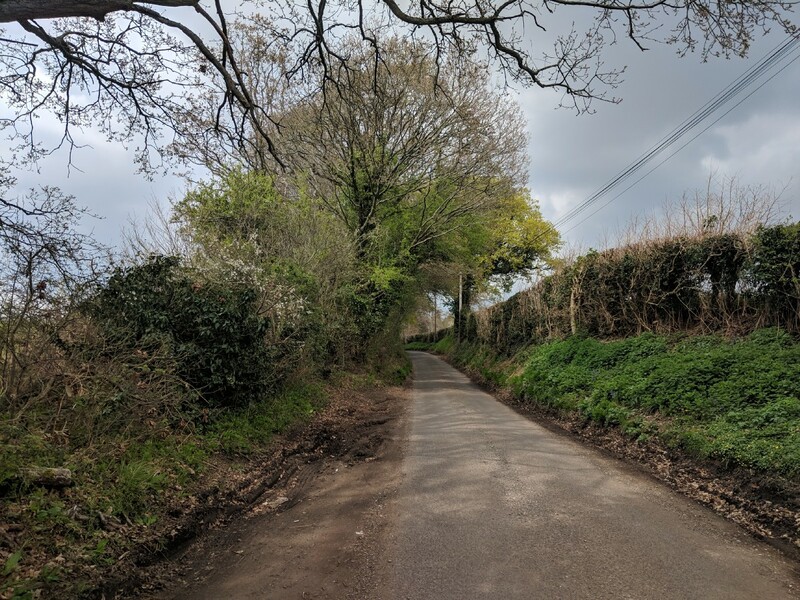 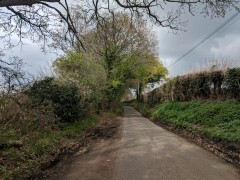 Nice little quiet country lane after the fairly busy road I'd just turned off. 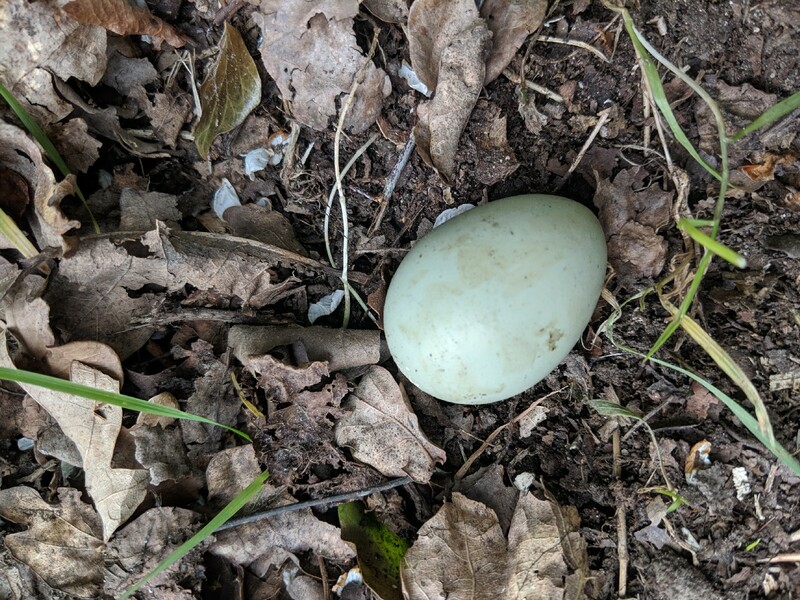 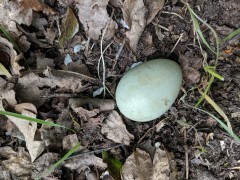 An egg by the side of the road. 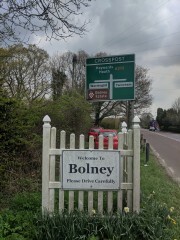 ...and here's the visitor entrance. 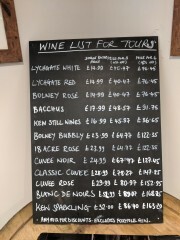 In the tasting room, here's the price list. 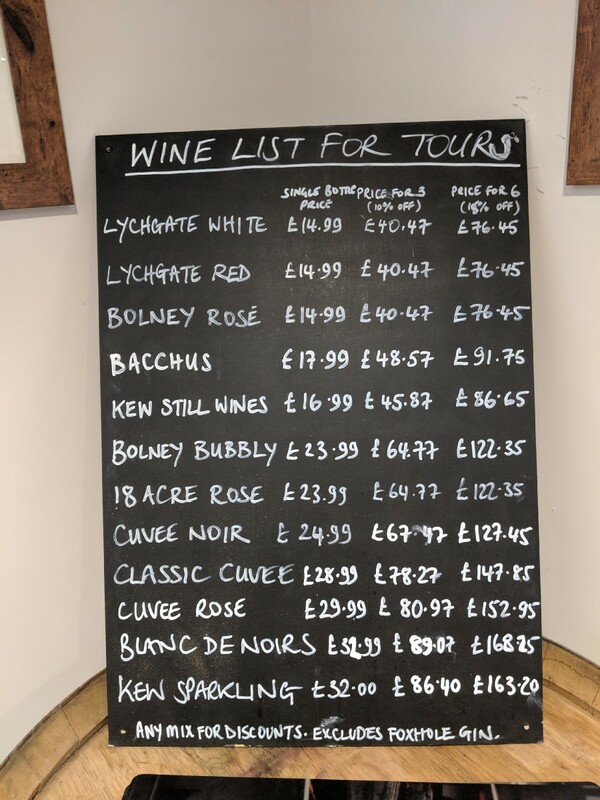 The list of wines they make at Bolney. 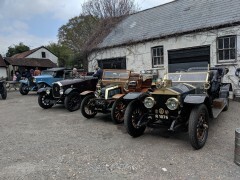 Quite a lot! 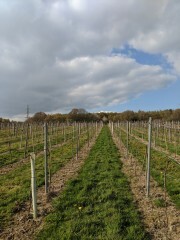 Out among the vine now. 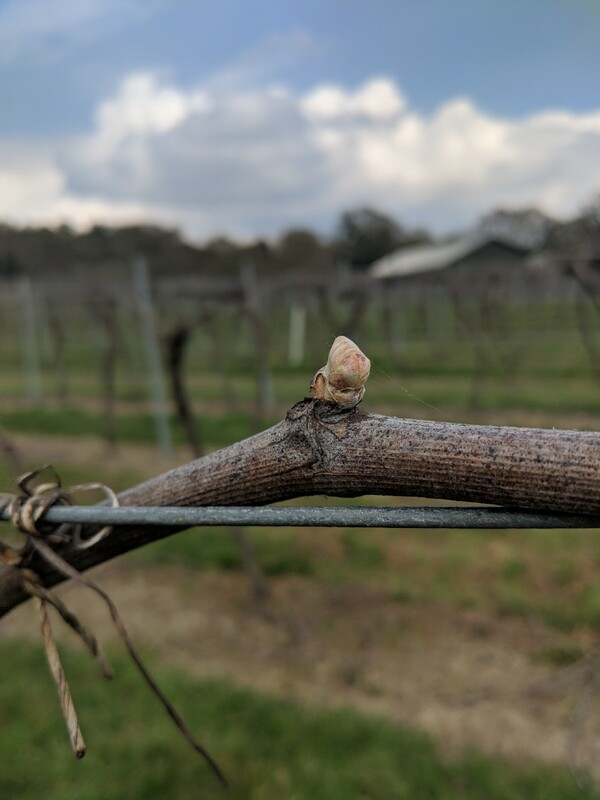 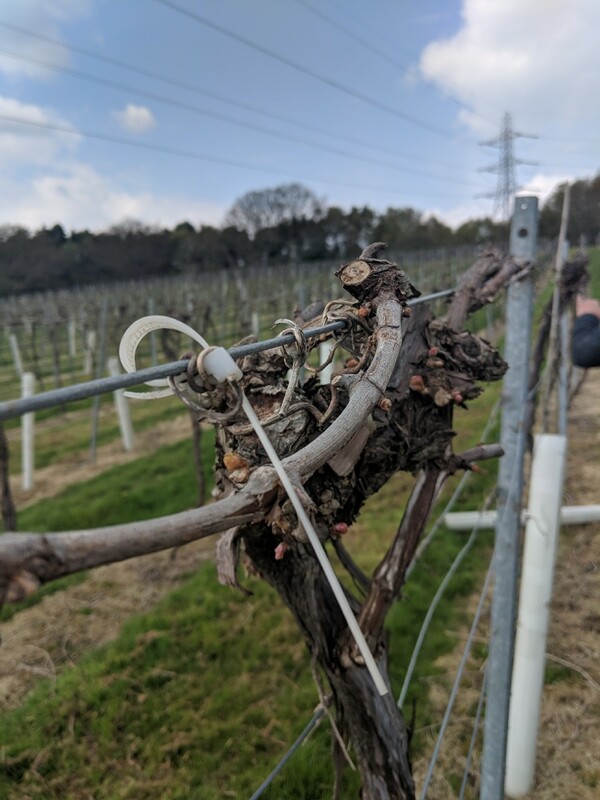 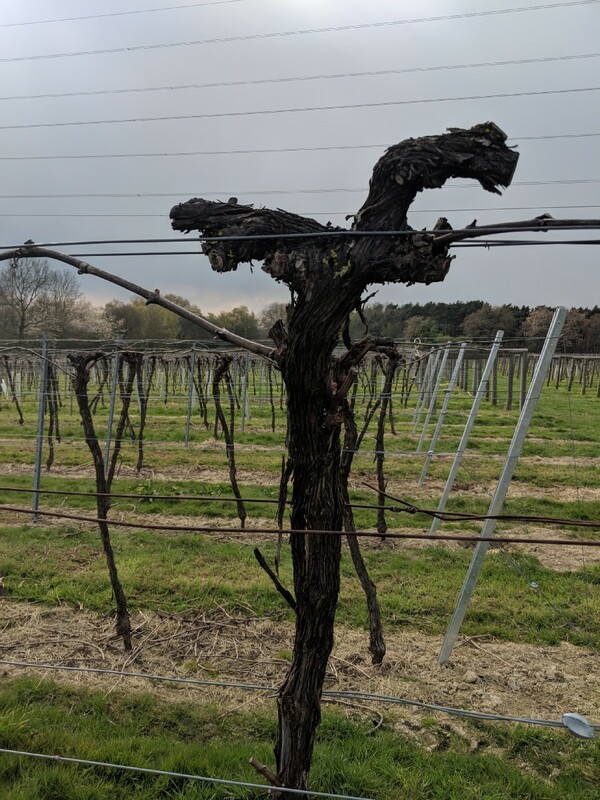 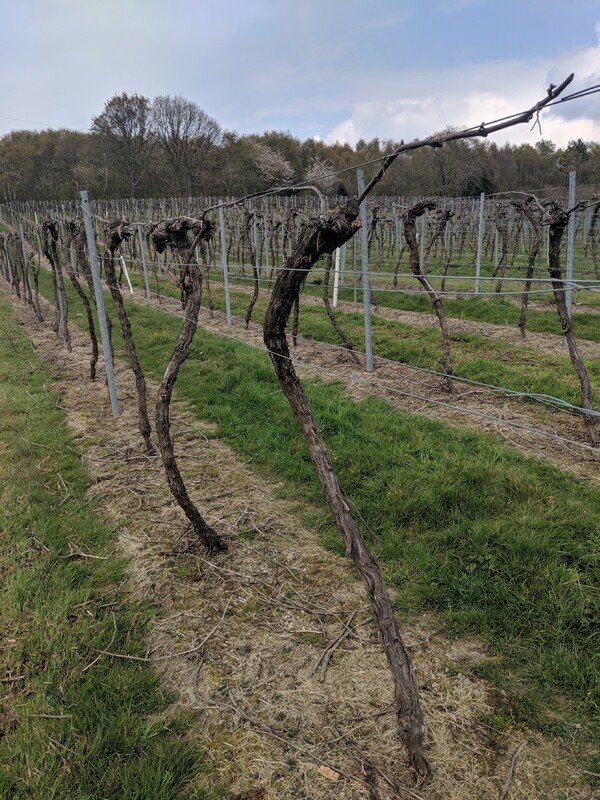 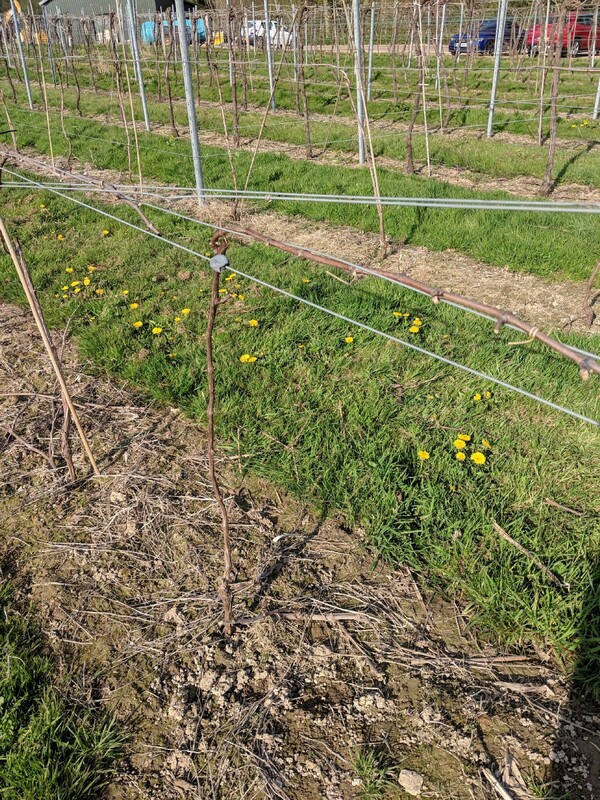 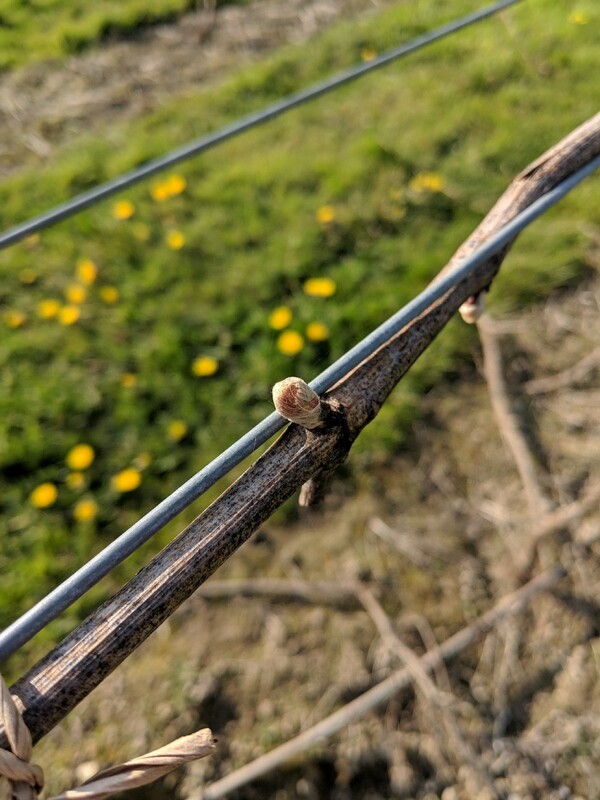 The budding viticulturists among you will note the high crowns here - unusally just beneath the top wire rather than the bottom wire. 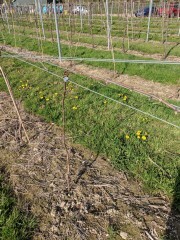 This is the Sylvos training system, and helps to alleviate frost risk. I think these were Pinot Noir. 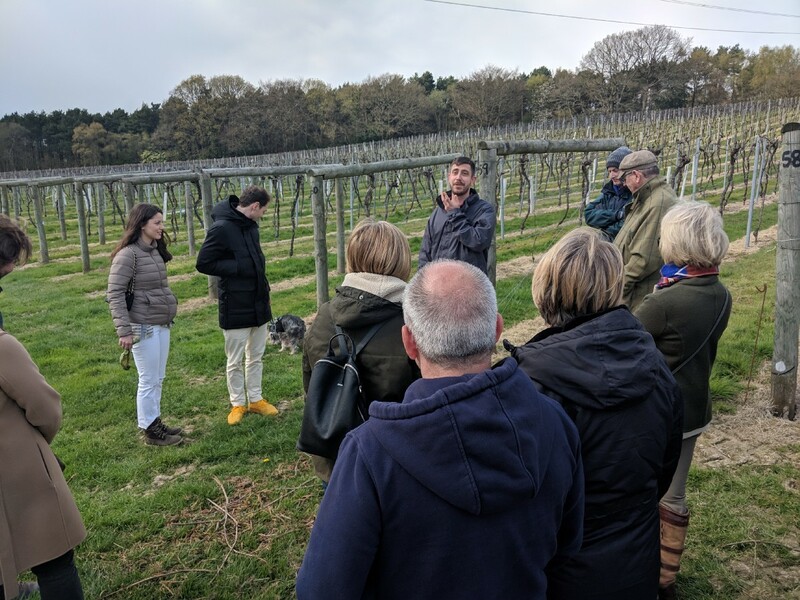 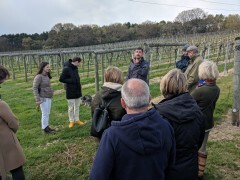 Daniel, the tour guide, telling us about Bolney out in the vineyard. Daniel talking about the need for grafting. 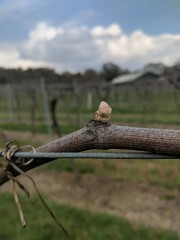 Lots of buds around this crown. 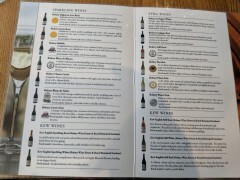 In the winery now. 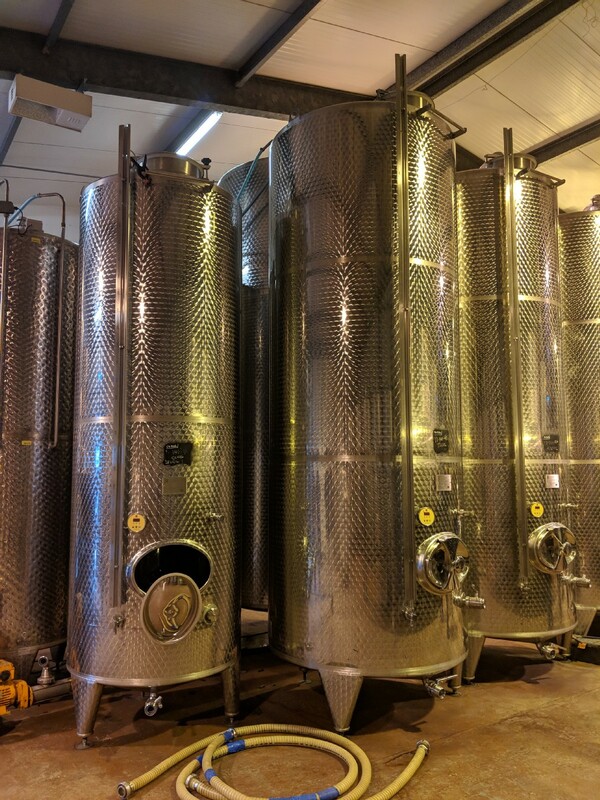 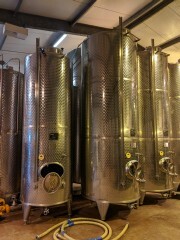 There's some of the fermentation tanks. 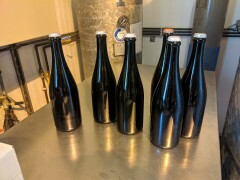 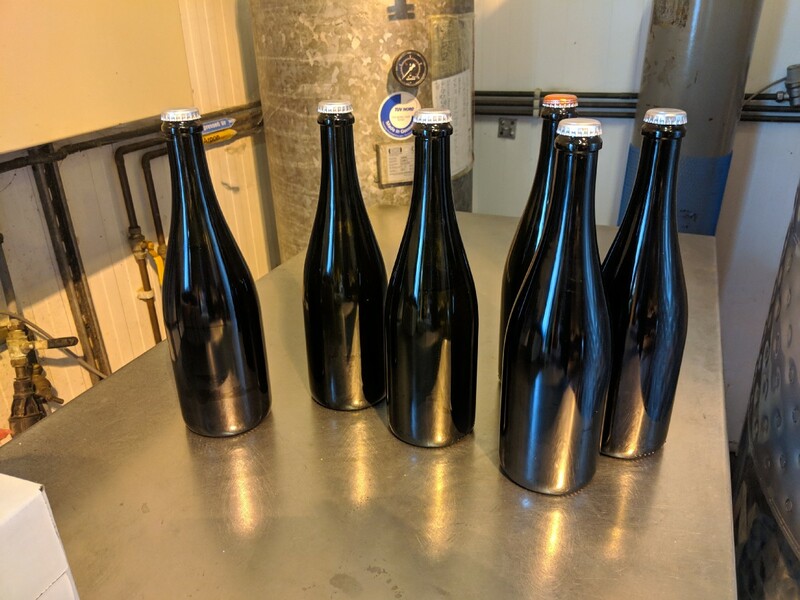 Some pre-disgorged sparkling wines with their crown caps. 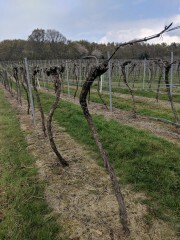 After the tasting, I sat outside waiting for a taxi and took a couple more pictures of the vines. 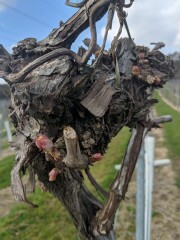 I think these are young Chardonnay vines.